Order is by case of 6 bottles with the possibility of mixing different wines. For professional order, please get in touch with us directly. Free transport charge in France continent from min 30 bottles, for smaller volume a fixed-price of 30€. “Passion motivates and fulfils us. Passion that grows day-in, day-out on our charming vineyard that we discovered in 2012. 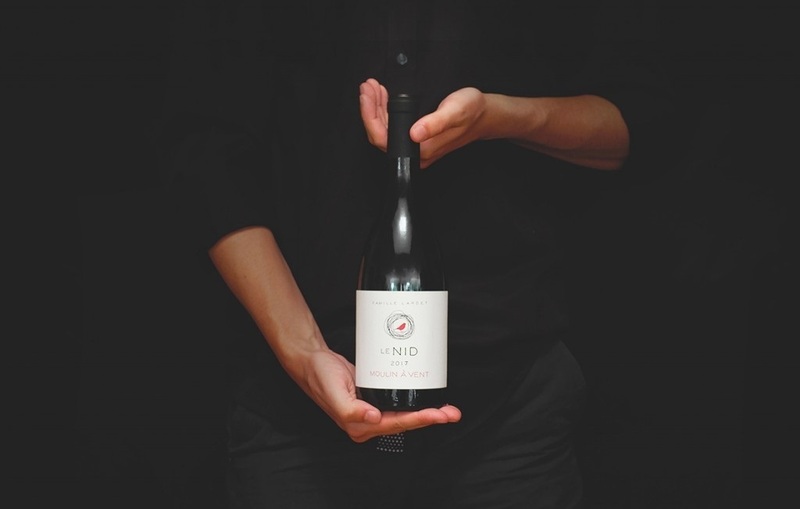 It is here, at the heart of the “Nid” that we hear our wine grow. We look after it. It speaks to us and tells us the story of Beaujolais, the earth at our roots. We ensure we give it our best, by taste and by respect. 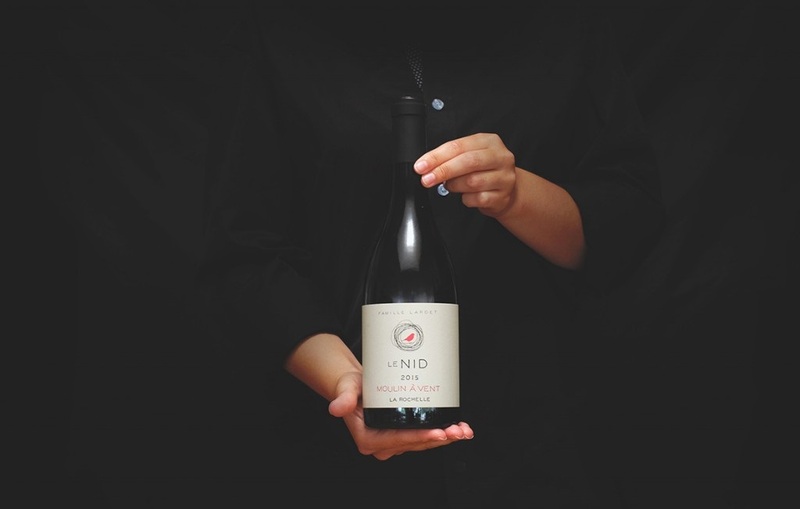 This cuvée respects, as do all wines from la Maison Le Nid, the traditional methods of Beaujolais grape harvesting and wine-making. 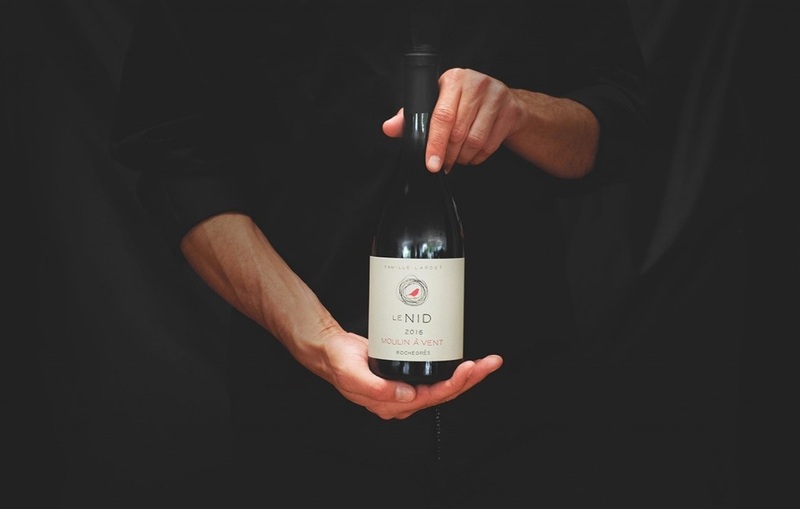 Coming from a blend of vineyard plots with destemming, we take care to preserve the fundamentals of this wine, which is aged in oak casks over ten months. A sunny spring but a late frost at the end of April. Slightly watered summer and in spite of the thunderstorms of hail which reduced the quantities, the quality is there over this beautiful 2017. Particular care is taken with the grapes grown on our “La Rochelle” and “Rochegrés” vineyard plots which are located on the top of the Appellation hill. Their secret? Rich soil, composed of sandstone, pink-granite fragments and crumbly pieces of a precious trace-element: manganese. The grapes are looked after separately all the way from growing to harvesting according to the plot selection criteria. They are then aged for twelve months in oak barrels in order to add woody notes to their structure. These wines possess flavours that allow them to be compared to and to rival their Burgundy cousins.